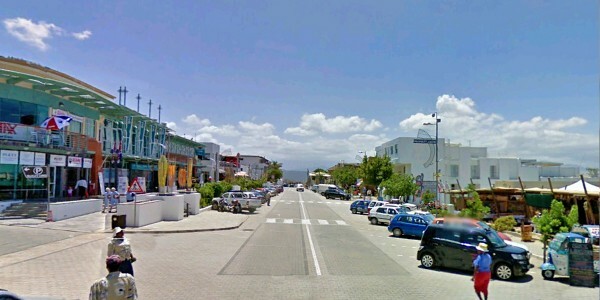 Plettenberg Bay has a relatively long history for a South African town, having been regularly visited by Portuguese explorers during the 15th and 16th centuries. Signs of their visits abound, and history enthusiasts can view artifacts such as the remains of the Gonzales Wreck in the town.Early European settlers to the area arrived in the late 1700’s, and have also left behind many fascinating historical relics, for example the Old Rectory, built by the Dutch East India Trading company in 1776, and Forest Hall, a privately owned stately home, built in 1864 by William Henry Newdgate. For holiday-makers, accommodation in Plettenberg Bay is plentiful. From upmarket hotels to budget B&B’s, accommodation is offered in varying price ranges from budget to over the top luxury. You are sure to find a great place to stay. With miles of pristine beaches to choose from, it’s no wonder that lazing on the beach is so popular with visitors, but, for those that manage to pry themselves away, there are charter boat cruises, hiking, canoeing and abseiling to choose from, to name but a few.Another attraction well worth a visit is the Monkeyland Primate Sanctuary; the world’s only multi-species, free roaming primate sanctuary, located a few minutes outside of town. For the adventurous palate, trips to the Mampoer and Witblits distillery are available, where one can view the making of, and sample, these very strong locally produced alcoholic beverages. While on the topic of culinary and other indulgences, and while there are many fine restaurants, café’s and other eateries to choose from in the town, one of the most memorable must surely be the restaurant at the Beacon Isle Hotel. Built literally straddling a small strip of land between a lagoon and the sea, it almost seems when seated in the restaurant, that the hotel is floating on the water. For those seeking a once in a lifetime experience, a short trip on the N2 towards Port Elizabeth, and over the border into the Eastern Cape, will bring you to the Bloukrans Bridge. Itself an engineering marvel, this bridge holds another claim to fame. It is the site of the world’s highest commercial bungee jump. At 216 meters, or the equivalent of almost 70 storeys, it is definitely not for the faint (or weak hearted) and many may prefer to view the seemingly endless plunge from the purpose built observing platform on the edge of the gorge. While at the bridge, whether or not you decide to take the plunge, it is worth visiting the Khoisan Village, which offers insights into the lives of the native peoples of the area, as well as opportunities to buy local arts and crafts.